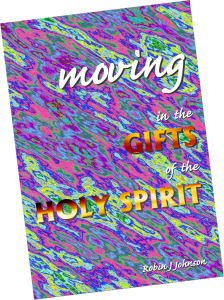 A seminar to help equip God’s people to; understand, experience and move in the gifts/manifestations of the Holy Spirit. 2000 years later and still there are various opinions and misunderstandings. This seminar is an excellent opportunity for you to learn about the “gifts” and/or extend your understanding of them. Do you want to minister in the power of the Spirit with confidence? Then this seminar is for you. Robin Johnson has over 40 years experience in Christian ministry and since his conversion and baptism in the Holy Spirit in 1970 he has seen the manifestations of the “gifts” in his life and ministry. He ministers throughout S E Asia and other nations preaching and teaching on the things of the Spirit. You will leave this seminar impacted and equipped to serve Christ better where you live, work and play. For further information, to enquire or arrange a seminar click here.